Had another great day on Tampa Bay today. Aboard were a few of my great repeat customers, and their friends. They wanted to see what all the Reel Therapy Fishing Charters hype was all about. Everyone found comfortable seating aboard the Ranger as we took a short boat ride to a productive trout flat. We started landing small trout and moving around the flat until we located some upper slot sized fish. We landed 5 upper slot trout before we decided to moved on to snook. We took a short boat ride to a creek mouth and set up at the edge of a deep hole. We had to reposition the Ranger a few times before we started absolutely crushing big snook! We landed over 40 snook, the biggest measuring over 30”, 34”, 36”, and approximately 40”! We also got absolutely schooled by a huge snook we couldn’t even slow down, after a 5 minute battle she finally broke us off in the mangrove trees. We then moved on to redfish, we landed a few smaller redfish before landing a perfect tournament sized fish measuring 26 3/4”! We also landed two more really nice snook before we decided to call it a day. 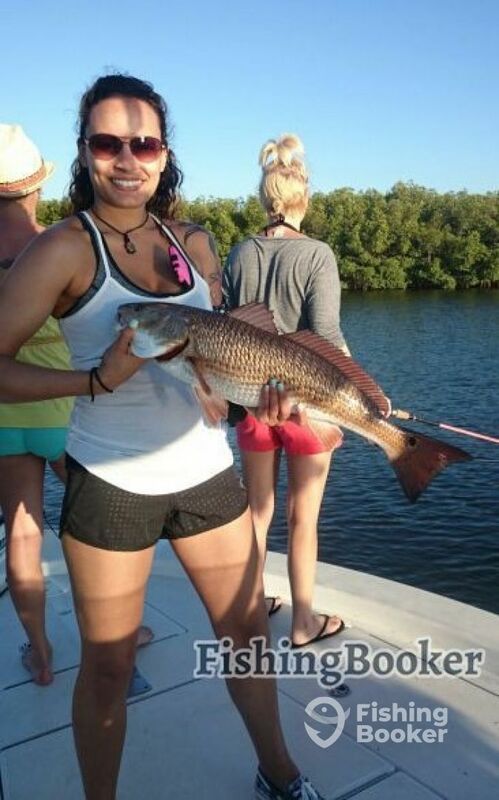 More exceptional fishing in the middle of January on Tampa Bay!